When Larry Estrada arrived at Western Washington University in 1989 as assistant vice president for Diversity in the Student Affairs division, the university at that time offered only a very few courses and programs dealing with cultural and ethnic studies. “There were language, anthropology and sociology courses that looked at some elements (of culture and ethnicity) but not necessarily examining both culture and ethnicity together,” says Estrada, who also served as director of the Multicultural Services Center, a precursor to the Ethnic Student Center. He retired in December, but plans to continue teaching part-time. Fairhaven colleagues and students – along with the rest of the campus community -- are invited to Estrada’s retirement celebration Thursday, Feb. 21, from 6:30 to 9:30 p.m. in the Fairhaven College Auditorium, with music by WWU Mariachi Bahia Azul and dance music by Soul Shadows. In the 30 years since he arrived at Western, Estrada has been instrumental in expanding Western’s curriculum centered on diversity. He later served as vice provost for Diversity for five years while building and directing the American Cultural Studies program and major. He also launched seven ethnic-specific minors and helped build course offerings in ethnic, cultural, race and gender studies across Western. He didn’t do it alone: “A number of times it took some real commitment and unity among several faculty and students, as well as political activism, to get both the minors and courses approved,” Estrada says. More recently, Estrada focused primarily on teaching, scholarship and directing the ACS program, housed at Fairhaven College of Interdisciplinary Studies. Estrada has been immersed in student activism since his first teaching jobs in the ‘70s. A few years after he served in the United States Marine Corps, Estrada was a teacher at a Catholic boys high school in East Los Angeles as many students within the predominantly Chicano student body became involved in the Chicano Movement. 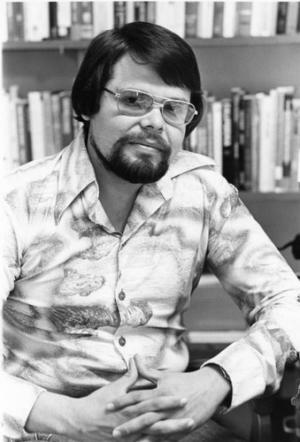 As his students joined the protests for civil rights, Estrada worked on strengthening the school’s Chicano Studies program. “It was a very interesting time to be in East LA,” he says. After completing his doctorate at UCLA, Estrada directed Chicano/a Studies at Loyola Marymount University and El Centro Chican@ at Colorado State University in Fort Collins, Colorado. 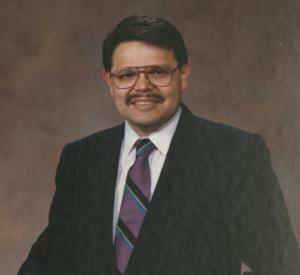 Estrada also served on the Fort Collins City Council and as the city’s mayor. One year, he was a guest at the Frontier Days rodeo festival in nearby Cheyenne, Wyoming, where several of the rodeo bulls had been named in honor of the region’s mayors. “The Hon. Larry Estrada” was a massive and unruly beast who quickly bucked off his rider. “He did his job extremely well,” Estrada says. Estrada is also a national leader in the field of ethnic studies. As president of the National Association for Ethnic Studies for over eight years, he caught the attention of a conservative author who included him in his 2006 book of “101 Most Dangerous Academics in America.” Also. on the list were such distinguished scholars as Cornell West, Noam Chomsky and Henry Louis Gates, Estrada says, so he was in good company. He’s also devoted to international and comparative education, having taken students on faculty-led study abroad courses of Cuba, the Dominican Republic and Central Mexico. “Learning first-hand about different languages and cultures should be a part of everyone’s education,” he says. In retirement, Estrada hopes to do more travel to Cuba and the Caribbean and perhaps even the Basque region of Spain to study the language, culture, food and wine. And he’s not completely leaving Western: He plans to continue teaching one course a quarter in his favorite topics, such as topics on Caribbean diasporic populations residing in the United States. But progress won’t come without conflict, “so let’s embrace it,” he says. All faculty, students, children and friends of Larry are invited.